The anticipation! 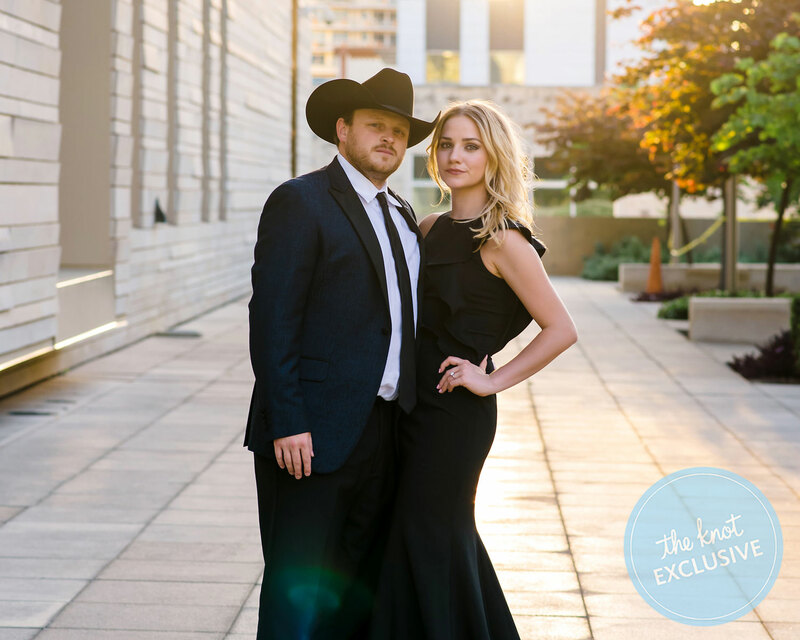 Country singer Josh Abbott is set to get hitched to love Taylor Parnell in an Austin wedding on Sunday, July 8, and the couple tells us that there are quite a few things they’re looking forward to. It should come as no surprise that music is one of the biggest elements of the pair’s wedding-to-be, though interestingly enough, musical concerns are not highest on their list of things that they’re looking forward to, though it is one of the most personalized aspects of their ceremony and reception. Below, Abbott and Parnell tell us the top five moments they’re most looking forward to on their big day. Before the pair can officially stroll back up the aisle as newlyweds, they’ll have to go through the rigmaroles of the ceremony itself. Abbott says that he is very much looking forward to seeing Parnell decked out in her wedding dress for the first time, and won’t waste one moment looking away from his beautiful bride. Parnell in particular was very hands-on with the wedding-planning process, and as such, Abbott tells us, one of the things he’s most looking forward to is seeing her visions realized in the form of a fun reception. “She’s worked so hard on planning this entire event and getting to enjoy the details we planned will be special for us,” Abbott says. “We’ll be dancing all night, laughing and toasting with friends, and enjoying the ambiance that we and Pearl Events Austin have worked for months on! Be the first to comment on "Exclusive: Country Singer Josh Abbott on What He’s Most Looking Forward to on His Wedding Day"